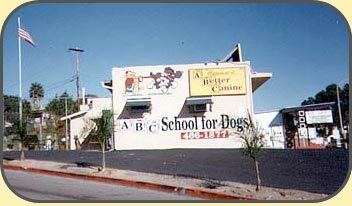 Home of the World Renowned Book by David Ruiz: The ABC's of Dog Training …and YOU! Our San Diego dog obedience school specializes in puppy dog training, dog behavior training, guard dog training, dog leash training, home dog training, hunting dog training, online dog training, puppy obedience training, puppy training tips, guide dog training, clicker dog training, dog training advice, service dog training, therapy dog training and professional dog training. The School: On... "Command" Training ! Group or private lessons are available at our La Mesa facility, or private lessons are available in your home. Lessons are flexible and convenient - to fit your schedule. Our hours are 6:30am to 8:30pm, Monday through Saturday. Step-by-step taught are the way dogs think ... learn commands ... hand signals ... and how-to-behave! 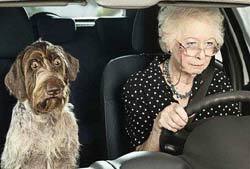 Your dog's frustating, obnoxious or notorious habits will be curbed. Your dog will no longer draaaag you down the street, nor will he fly-the-coop when you call him or command him to "Sssstay!" No more! will your dog be a jumping bean in the automobile or act crazzzzy at your veterinarian's office, in public or when your company arrives. Go To Bed / Place / Outside! Your dog is taught to happily recognize and respect all family members as Pack Leaders. This is the only sound, sane and safe relationship to be had between your family and your dog! 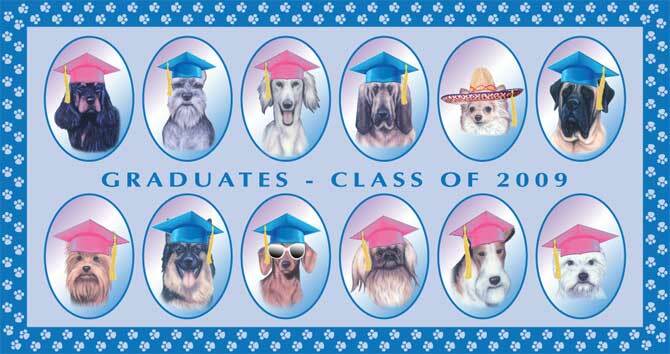 San Diego County residents are encouraged to call (619) 466-1877 for information about A Better Canine School for Dogs. The ABC's of Dog Training… and YOU! The Truth, The Whole Truth, and Nothing But… the Truth! ABC School for Dogs proudly serves all of San Diego County especially East San Diego County which includes El Cajon, La Mesa, Santee, San Carlos, Lakeside, Spring Valley, Jamul, and Alpine, and Central San Diego County which includes Tierrasanta, Rolando, SDSU, Darnall, Cerritos, Del Cerro, Allied Gardens, Talmadge, Kensington, Hillcrest, Mission Valley, Fashion Valley, City Heights, Lake Murray, Friars, El Cajon Blvd, North Park, Balboa Park, Clairemont, Kearny Mesa, Mission Bay, Mission Beach, Ocean Beach, Imperial Beach, Pt Loma and Downtown San Diego. Many of our clients are glad to travel to us from South San Diego County which includes Chula Vista, Coronado, Imperial Beach, Bonita, Eastlake, South Bay, National City, and the Port of San Diego, as well as from North San Diego County which includes Carlsbad, San Marcos, Vista, Oceanside, Escondido, Encinitas, Cardiff by the Sea, Solana Beach, Del Mar, Rancho Santa Fe, La Jolla, Poway, and Rancho Bernardo. Of course, we ship our Dog Training Book to anywhere in the USA.